Spending a summer at camp in America is an experience like no other you’ll ever have. You get to meet new people, spend time playing with some amazing kids, get a great tan, try new things and you even have the chance to travel for 30 days after camp ends too! To get you started on the road to understanding how amazing camp really is, here’s an A to Z of Summer Camp! A – Awesome Adventures. Not only is your summer at camp going to be amazing in itself, but you can spend up to 30 days traveling around America once camp ends too! Where are you going to go? B – Breakfast. This is possibly my favourite meal at camp and I pretty much have the same thing every single day for 10 straight weeks. A bagel and 2 little packets of Marshmallow Mateys (they’re like Lucky Charms). You’ll know what I mean when you get there. C – Campfire. A summer camp tradition – sitting round the campfire telling stories, singing songs and toasting marshmallows. D – Dancing. 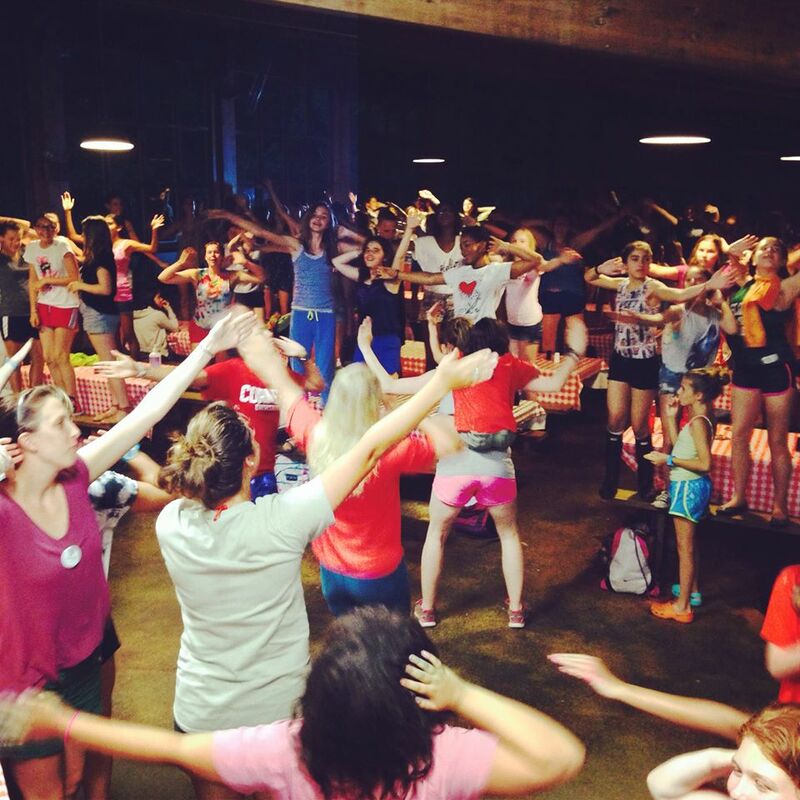 This might sound like a strange one, but you’d be surprised at how much of your day is spent dancing at camp. Whether it’s at the official camp dance, dancing to loud music with your kids in section, or just the daily dance sessions in the dining hall, be ready to get those dancing shoes on! There’s nothing quite like a dining hall dance party! E – Excellent Friends. You’ve heard this from me before, but at camp you will make some of the best friends you’ve ever had. They will see you at your best and at your worst, early in the morning and late at night. They will know pretty much every little thing about you before the first week is up, and they will still love you for exactly who you are. F – Fancy Dress. Just like dancing, getting dressed up in ridiculous outfits is par for the course at camp. 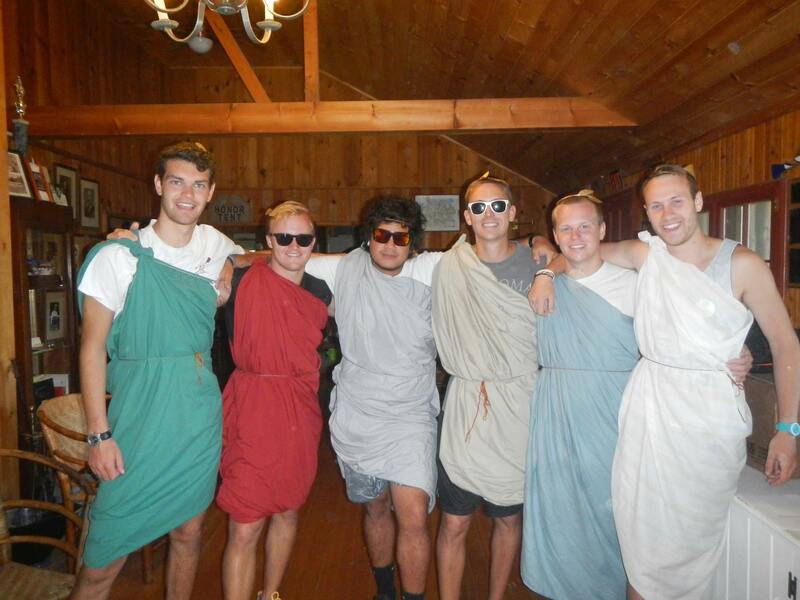 You might be wearing neon for Monday Funday, or your team colours for Color War, and I can guarantee that at some point this summer you will be seen wearing your bedsheet as a toga. G – Grills. And by that I mean BBQs. Over the summer you will most likely to be treated to a classic America summer camp ‘cookout’, burgers, hot dogs, beans and all. H – Holidays. Not only do you get to spend your summer holiday at camp, but you also get to enjoy a great American Holiday too. Fireworks at camp on 4th July anyone?! I – iPod. This may sound like a strange one, but I can assure you that bringing an iPod loaded with (camp appropriate) music is going to make you, your campers, and everyone else around you happy! Music is an integral part of summer camp, so get those playlists ready! J – Joy. Camp is joy. Plain and simple. Everywhere you look there will be someone with a smile on their face. If you think you need more joy in your life, go to summer camp. K – Kids (duh). The kids are the best thing about camp. You are there to ensure that they have the greatest time possible. And in return they will make you feel more loved and idolised than you’ve ever felt, as well as having you rolling around on the floor hysterically laughing at least once a day. L – Laughter. Leading on nicely from the above point, there won’t be a day that goes by at summer camp where you wont laugh at least once. And it’s always the good kind of laughing. The tears-in-your-eyes-doubled-over-can’t-breathe kind of laughing. It’s the kids that make it all worth it! M – Money. A job at summer camp means not only do you get to spend your summer outside in the sunshine, making friends, playing with kids and calling it ‘work’, but you also get paid for it too! It’ll be a nice amoung to get you going on your post-camp travels! N – Nature. Living at camp all summer means living in nature. Whether you live in a cabin or a tent (like I do), you will most likely still be in the middle of nowhere, by a lake or some woods, with insects and creatures and animals that go bump in the night. Watch out for the bears too! 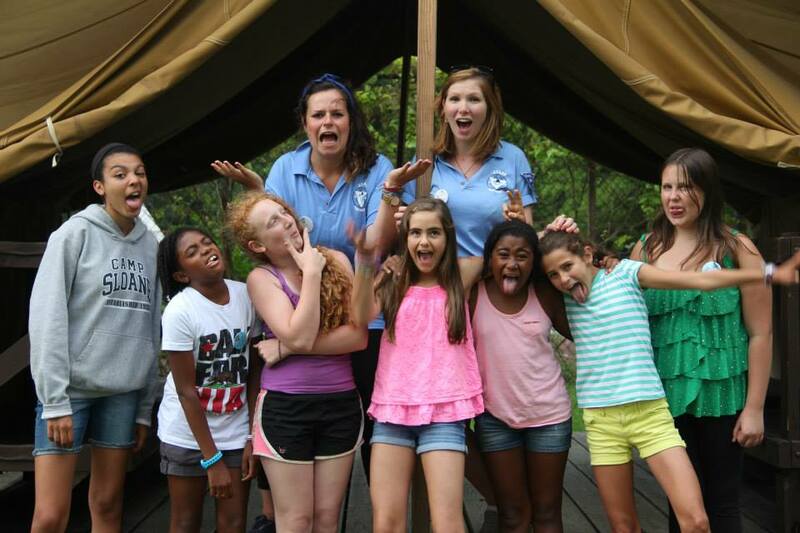 O – Only at camp. There are so many things this phrase could be applied to. ‘Only at camp‘ do you get to live with your best friends 24 hours a day. 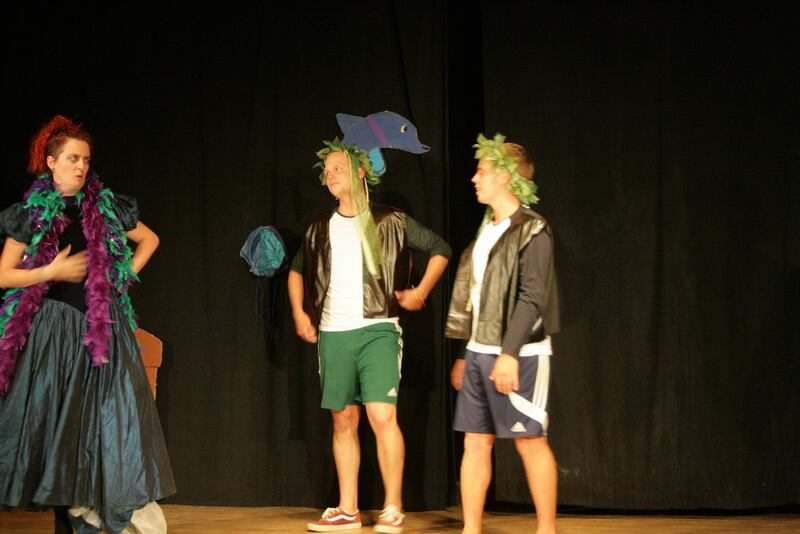 ‘Only at camp‘ do you get to dress however you want, in ridiculous clothing, and never even be asked about it. ‘Only at camp‘ do you get a killer tan while teaching a lesson. ‘Only at camp‘ will you find 3 girls running around dressed like superheroes for no reason whatsoever other than that they felt like it. ‘Only at camp‘ do you get to hang out with some of the coolest kids ever and call it work. P – Performing Arts. A huge part of camp life, whether you’re at a special performing arts camp or not. There will be plays, there will be songs, there will be talent shows, so get ready to be astounded by the skills some of those kids have! You will be on stage at some point this summer! Q – Quick thinking. After a summer spent working at camp, you will never have a problem thinking on your feet. Camp counselors need to always have a few tricks up their sleeves; some new ideas in case things don’t go quite as planned. It’s a useful life skill to have, and will serve you well for the rest of your life. R – Rest Hour. Possibly my favourite hour of the day. This is the time when you get to chill with you camper in your bunks, reading a book or having a little nap, or just quielty chatting and resting before the afternoon activities kick off. S – S’mores. If you don’t know what a s’more is then, well, where the hell have you been hiding?! No, but seriously, get excited. 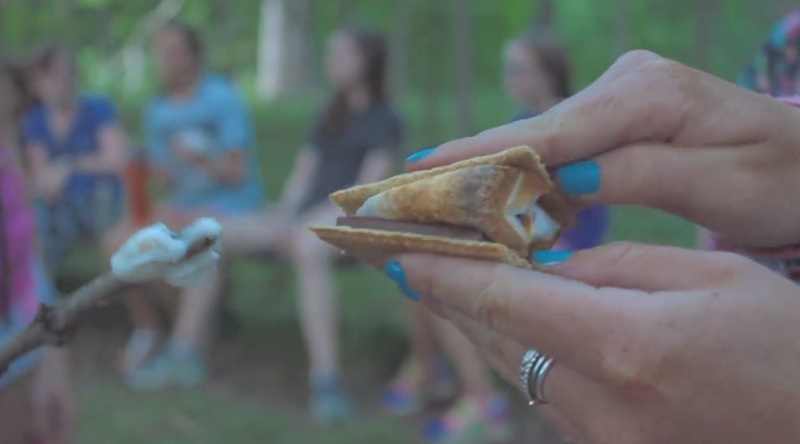 A S’more is basically a toasted, melty marshmallow sandwiched between two Graham crackers with a bit of chocolate in there too. It’s delicious. And you’re going to eat a lot of them this summer! T – Teaching experience. If you’re planning on becoming a teacher (or even if you already are one), working at summer camp will give you so much experience teaching in a different environment than what you’re used to. You will be teaching your activity for at least 4 hours a day, 5 or 6 days a week, for 8 weeks, to a wide variety of children with differing skills and abilities. It’s impossible not to learn a few things! U – Unconditional acceptance. I have never experienced the same kind of total, unconditional love and acceptance anywhere else like I have at summer camp. 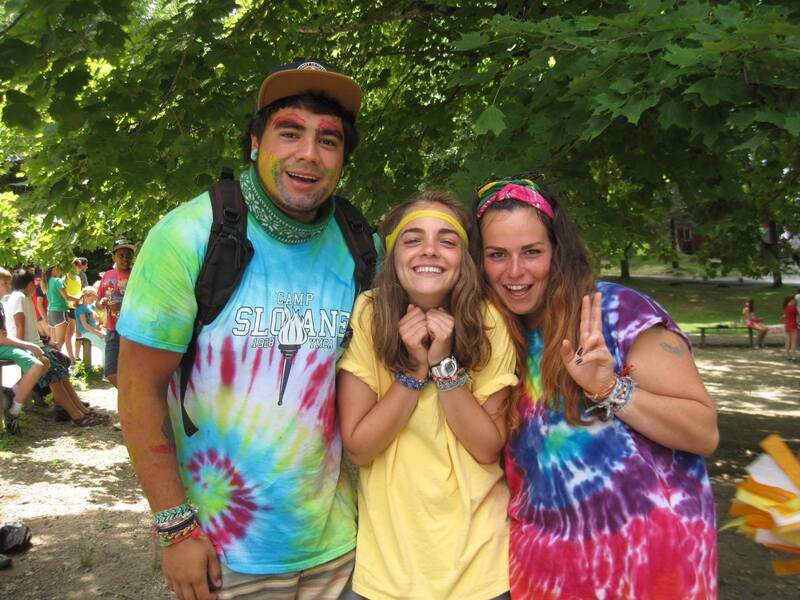 Camp is a place where you can be ‘your essential self’ without judgement or ridicule from anyone else. It is a place where differences and quirks are welcomed, not stamped out. V – Visa. One of the most important things you have to sort out before you can even get to camp is your J1 visa. When you first get all the paperwork it can seem very scary, but I promise you that it’s all a lot simpler than it sounds! And it’s so worth going through all the forms and visa interviews – the visa allows you to work at camp for up to 4 months, and then you get 30 days of travel too! W – Water. 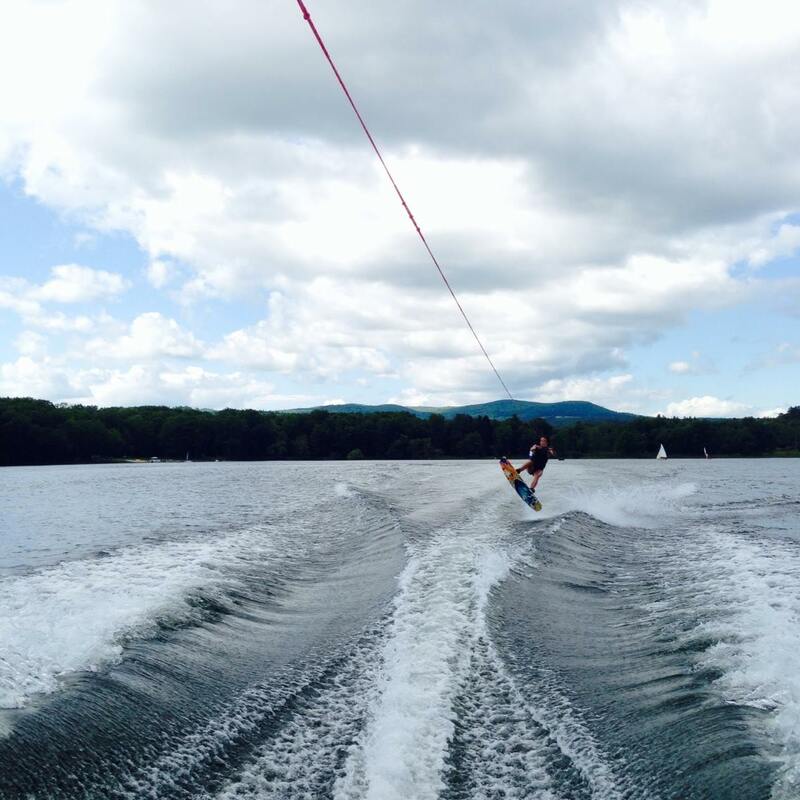 At summer camp, water plays a huge role in a number of activities. There’s boating, where the kids can do sailing, canoeing, rowing and more. There’s waterskiing and wakeboarding, and maybe even a banana boat (if you’re on the waterski staff, you probably have the best job on camp). And of course there’s swimming – at the pool and the lake. Oh and don’t forget the waterfights too! Will this be you this summer? Z – Zipline. 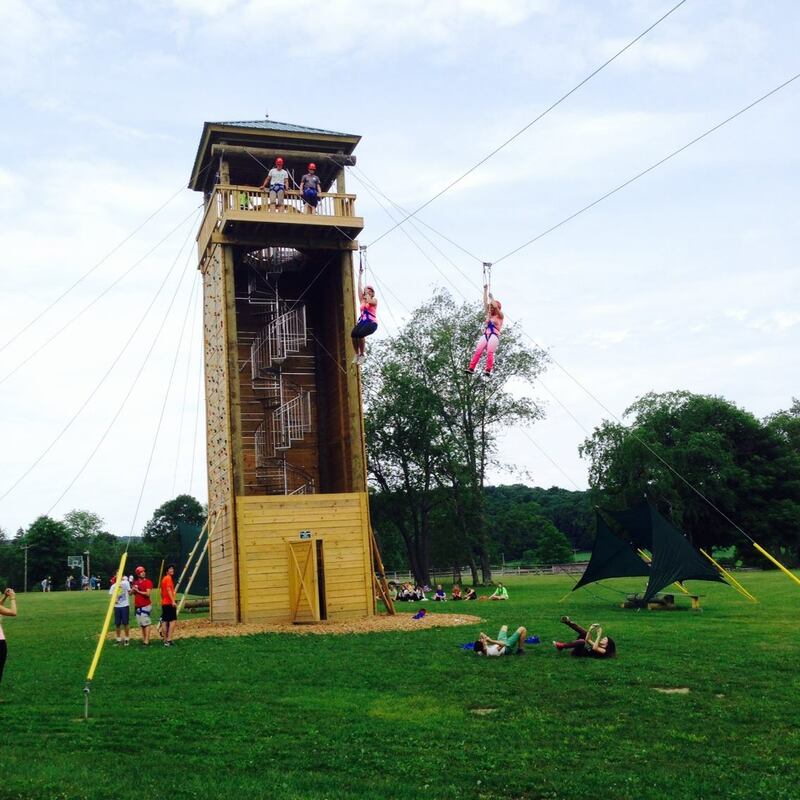 If your camp has a zipline, then make the most of it! We got a new zipline last summer at my camp, but I’m really not a massive fan of heights so I totally chickened out of going on it. But it’s on my bucket list for summer 2015. And now that I’ve written this, I think I’ll probably be forced to go on it! Oops.